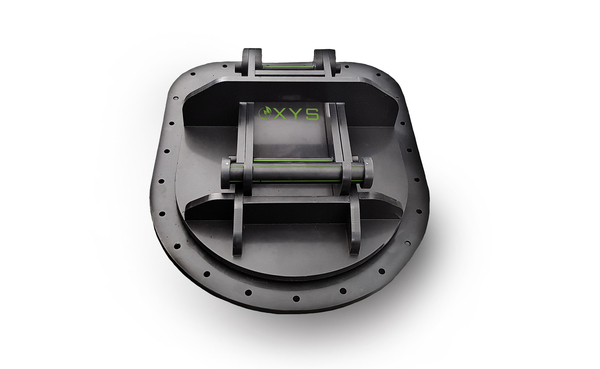 OXYS PEHD non-return flap valves prevent backflow in the event of increased level of the sewage downstream the flap valve. They perform protective and regulating functions. * They are used for unidirectional closing and opening of pipe ducts. * They operate automatically under pressure differential. * They are made of high-quality high-density polyethylene (HDPE). * They are resistant to aggressive substances found in blackwater or stormwater - they are non-corrosive. * They are used in sewerage and drainage systems as terminal devices. On individual order, we can deliver flap valves, adapted to the existing installation conditions. * The non-return flap valve is adapted to be mounted at the end of the gravity (non-pressure) pipeline. It is not adapted to take pump loads, in particular high capacity pump loads.